The Canadian Centre for Occupational Health and Safety (CCOHS) recently shared an update on WHMIS 2015. Canada has aligned its Workplace Hazardous Materials Information System (WHMIS) with the Globally Harmonized System of Classification and Labeling of Chemicals (GHS), resulting in new standardized classification criteria; label requirements; and safety data sheet (SDS) requirements. The Canadian federal government updated WHMIS rules in 2015. WHMIS 2015 includes new definitions, new harmonized criteria for hazard classification, and new rules for supplier labels and safety data sheets (SDSs). Suppliers and employers importing hazardous products for use at their workplace and/or selling (including distributing) hazardous products are required to keep “specific purchasing and/or sales information” for six years after the end of the year to which they relate. Those who manufacture and sell hazardous products must keep “specific sales information”. To increase WHMIS 2015 awareness, Health Canada is planning a WHMIS 2015 compliance and enforcement initiative for the 2017-2018 fiscal year (April - March). Construction sites can be exciting, fast-paced places to work, but without the proper equipment, these sites can also be dangerous. According to the most recent statistics from the U.S. Department of Labor, just over 4,800 workers were killed on the job in 2015, averaging out to about 13 deaths a day. 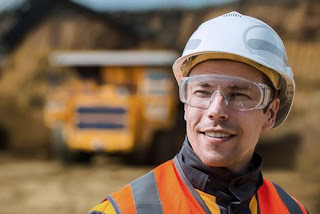 As LovetoKnow.com notes, job site supervisors should check heavy construction equipment on a daily basis to make sure it's in good working order. If equipment isn't operating properly, it should be taken out of service until repaired or replaced. Backover accidents are not uncommon on noisy construction sites, so heavy equipment owners should consider upgrading to a loud reverse alarm system, ensuring workers and visitors are alerted when a backhoe, bulldozer or other equipment is moving backward. Are office workers less healthy than production workers? Results of a new NIOSH study may surprise you. Occupation, lack of paid sick leave, and multiple psycho-social factors are related to workers’ own perceived low health status, according to a study by researchers at the National Institute for Occupational Safety and Health (NIOSH).